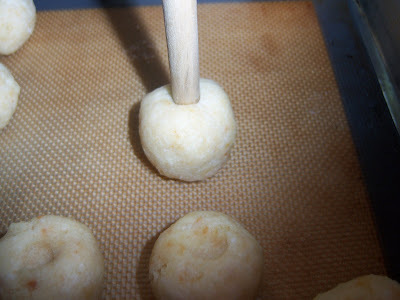 I've been dying to make Bakerella's Cakepops since I first discovered her blog. They are the cutest things ever. 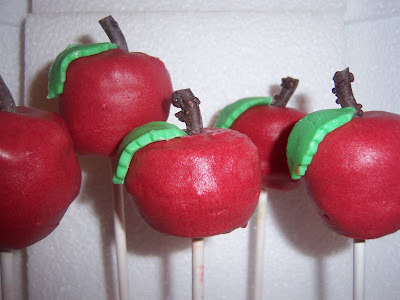 I knew my next baking opportunity was the teacher appreciation lunch at Max's school, so I decided that my maiden voyage into the world of cakepoppery would be apples. I definitely learned a thing or two in the process. What you do is take cake, mush it up with your fingers or a food processor, then mix it with frosting into a moldable paste. I used the leftover 1/2 layer of cake from when I made the Fairfax Theater and some of the frosting I use in the Wilton classes. I put the frozen cake in the food processor to crumble it, but in retrospect I'd have let it thaw first and used my hands. I also think I added too much frosting. But hey, you live and learn. 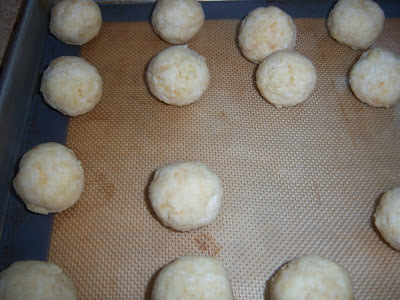 I rolled the mush into balls, and froze them for about 1/2 an hour. 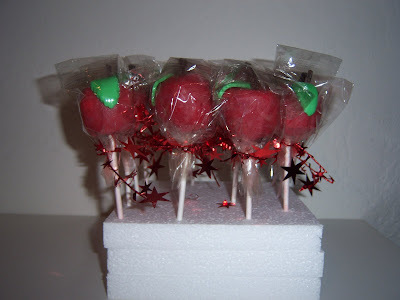 To make the apple shape, I rolled the bottom half into a cone shape. Then I put the small end of the cone on the cookie sheet and pressed down with my fingers and the handle of a wooden spoon - this gave me a tapered look to the apples, a flat bottom and a pretty good approximation of the top of an apple. These went back into the freezer for about 15-20 minutes. While the pops were freezing, I melted white chocolate. I had a 7oz bar of Valrhona white chocolate that my friend Deborah had given me (she does their PR - it pays to have friends in high places) I dipped the tip of the lollipop sticks in the melted chocolate and then stuck them in the pops. 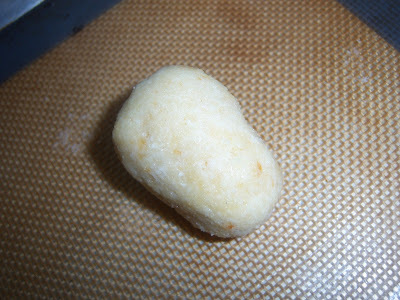 Then back to the freezer. 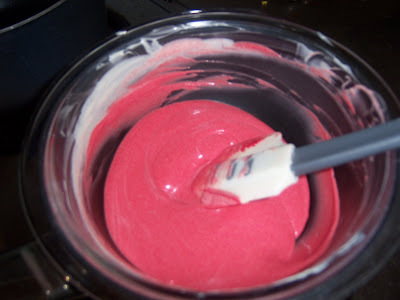 I added pretty much a whole tub of Wilton No-Taste Red food coloring to get it to the right shade. In retrospect, I would have used Red Candy Melts. Because the chocolate was kind of thick, I thinned it out with Paramount Crystals. These are waxy "flakes" that makes chocolate thinner and more elastic. 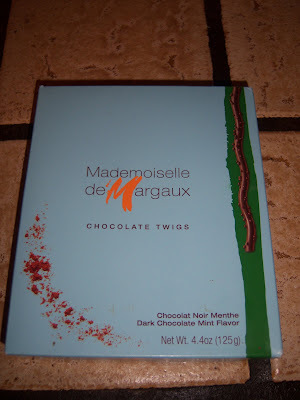 I use it when I want to get a nice "splatter" effect on cakes and cookies. It took a while to get the hang of dipping the pops in the chocolate, but I was able to get a smooth-ish surface after a while. I wanted to bag them into lollipop bags - but the bags were a very tight fit, so I sliced each of the bags down the side and overlapped two over the pop -voila! And I just knew those 100 6" x 6" foam squares I got from Freecycle would come in handy! This was a super fun project - I think I may make some more for the end of school picnic next week - stay tuned!